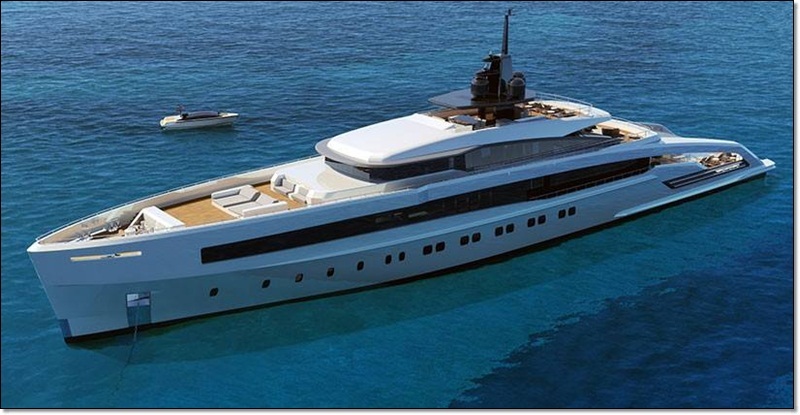 From ancona, italy CRN announced a new set of super yachts with omega architects that measure between 50 and 90 meters in length. 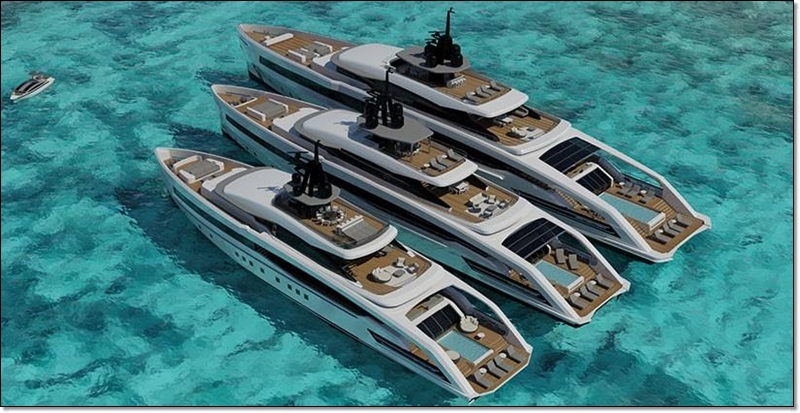 the â€˜oceansportâ€™ fleet is fully custom mega yachts inspired by CRNâ€™s heritage with a sporty profiles and sleek iconic shapes. 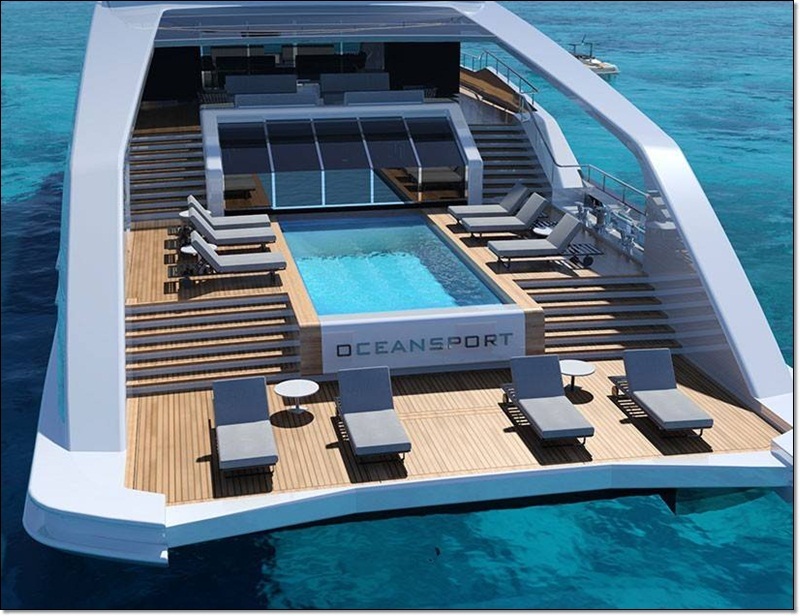 Each version is designed and engineered in proportion and makes the most available space for guests cabins, salons and the beach club with wellness and fitness area, sauna, gym, infinity pool and swim platform. All three of them have sharp styled exterior lines that emphasize their long shape and split decks that encompass darkened glass windows. the new projects feature a noteworthy arch that extends the sun deck area forward to the main deck seating area. 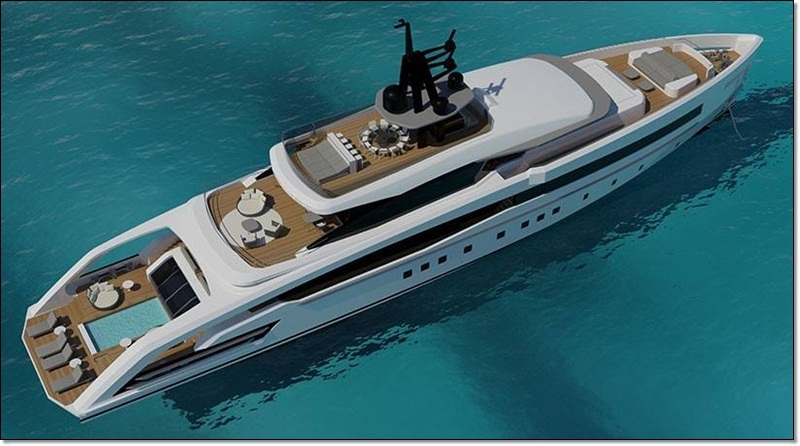 The profile designed for the â€˜oceansportâ€™ shows how a stately ocean going yacht can have a sporty character as well, with the near vertical bow and pilot house window.